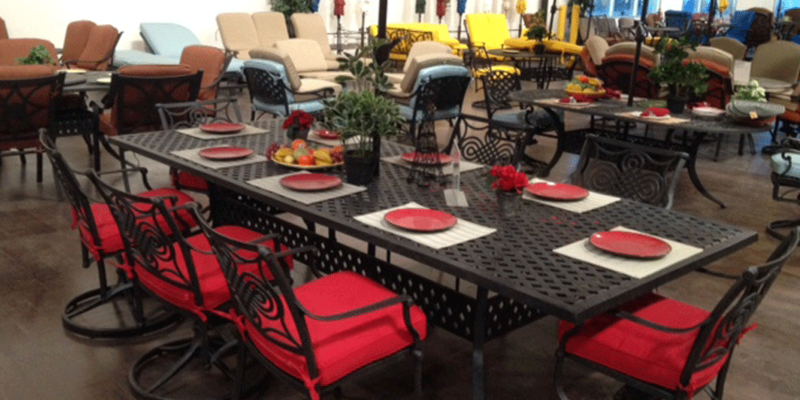 Entertaining Guests Has Never Been So FUN! If you want American Made components from an authorized dealer, you have found us. BBQ Outlet is a family owned BBQ Store that has been in business for decades. From helping you plan your entire backyard or just giving a little insight of what we think might work for you to meet all of your backyard needs. 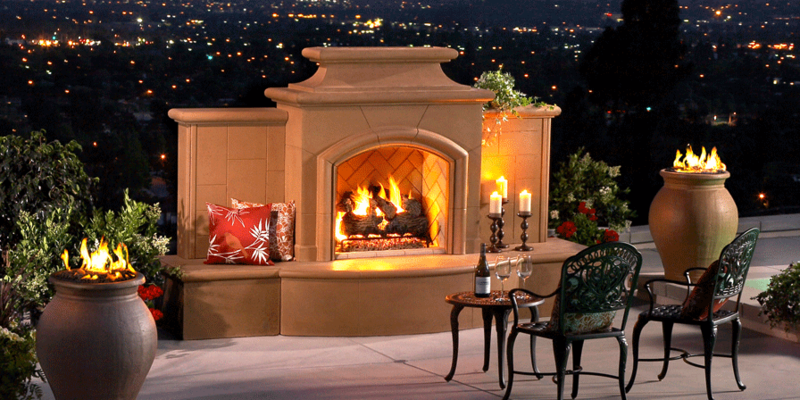 Committed to providing the best products and services to meet all your backyard needs. Your Satisfaction is our #1 Priority. 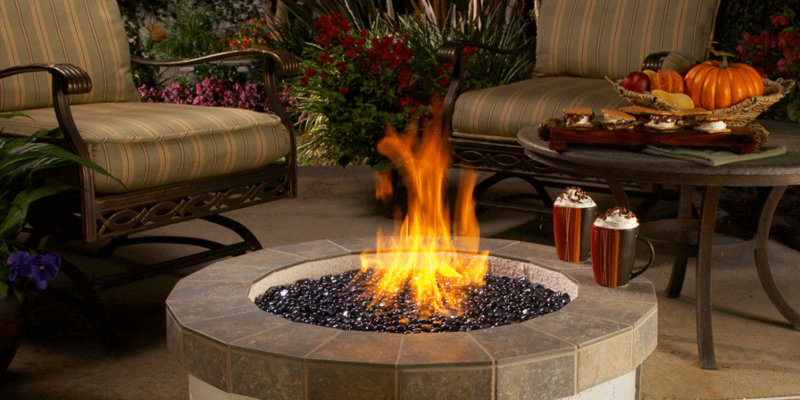 We custom make BBQ Islands, Fireplaces, Fire Pits, Fire Tables. 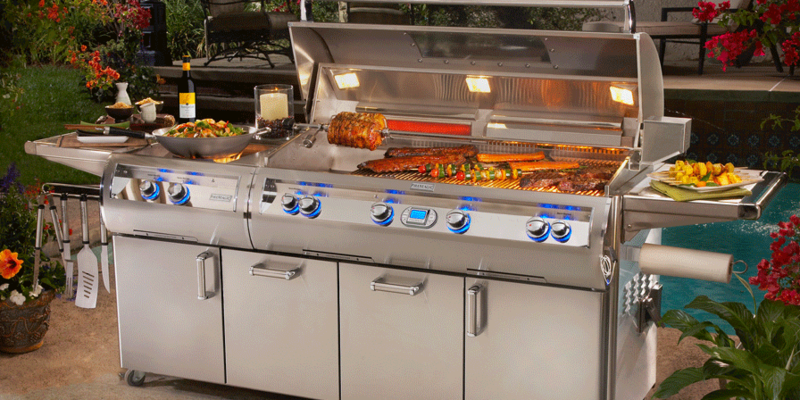 We carry Grills, Outdoor Kitchen Equipment like Carts, Refrigerators, Pizza Ovens, Heaters, Ice Makers, Sinks, Bar Caddys Door & Drawers, Patio Furniture, Accessories & More. We want to ensure that our customers have the best products in the market with the best bang for their buck! Our products are all made in the U.S. as we have many warehouses and manufacturers that work with us. We are currently serving all of the L.A. County, Orange County, Riverside and San Bernardino areas, offering a free consultation. 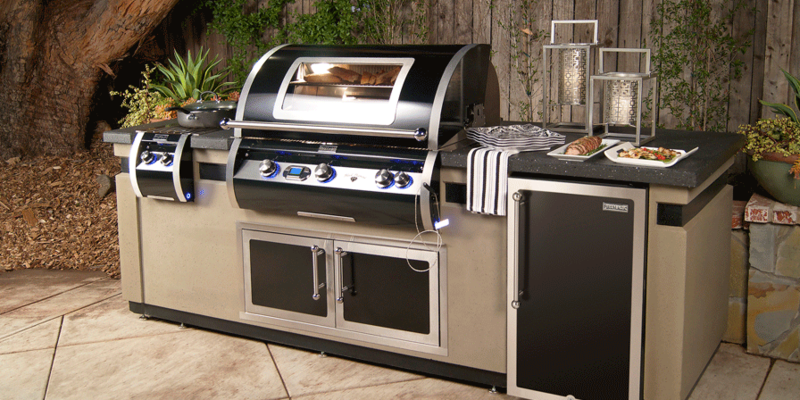 BBQ Outlet has two 5000+ showrooms one at Corona and other one at City of Orange, with the largest selection of Grills, Patio Furniture, Fireplaces, and Firetables available. 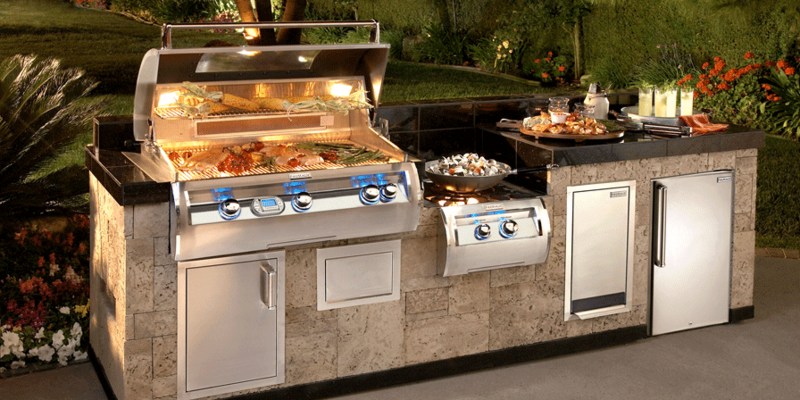 Please visit us to see and feel your dream Outdoor Kitchen.